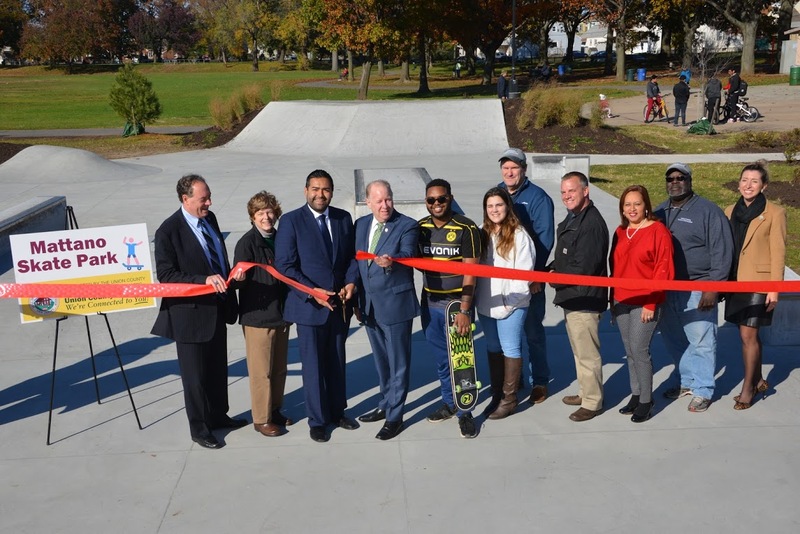 Union County, NJ – The Union County Board of Chosen Freeholders is pleased to announce the opening of a new skate park at Union County’s Mattano Park at 360-484 5th Avenue in the southern corner of Elizabeth. 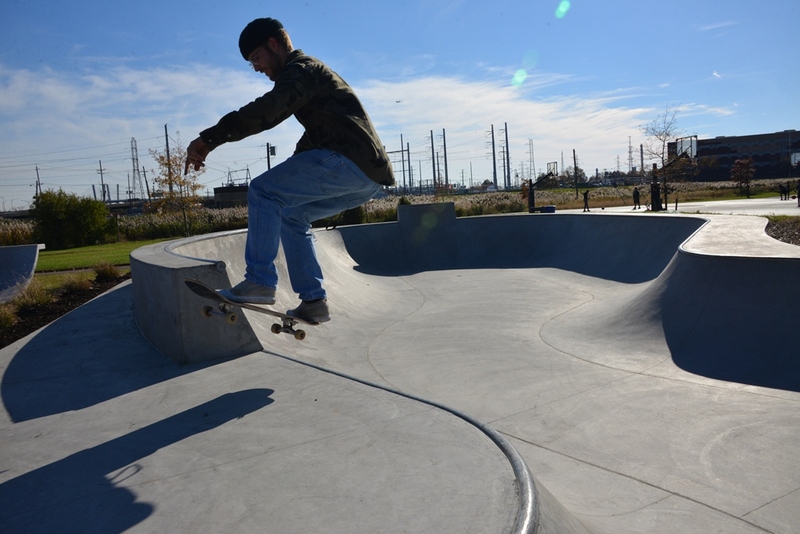 The new skate park is the latest in a recent series of upgrades in Mattano, including new turf athletic fields, a new sprinkler playground, and the County’s first playground created for children with special needs. Union County Freeholder Chairman Sergio Granados (3rd l.), Vice Chairman Bette Jane Kowalski (2nd l.), and Freeholder Bruce H. Bergen (l.) join with Elizabeth Mayor J. Christian Bollwage (4th l.) and other local officials, skaters and residents to celebrate the official opening of the new skate park at Union County’s Mattano Park, in Elizabeth. Photo credits: (both photos) Danni Newbury/County of Union. The Union County parks system encompasses 36 distinct parks offering a wide range of activities including golfing, hiking, swimming, boating, horseback riding, educational programs and much more in addition to many playgrounds, athletic fields and picnic areas. For more information about activities and programs in Union County parks, visit online at ucnj.org/parks, email parkrequest@ucnj.org or call the Reservation Desk, 908-527-4900.